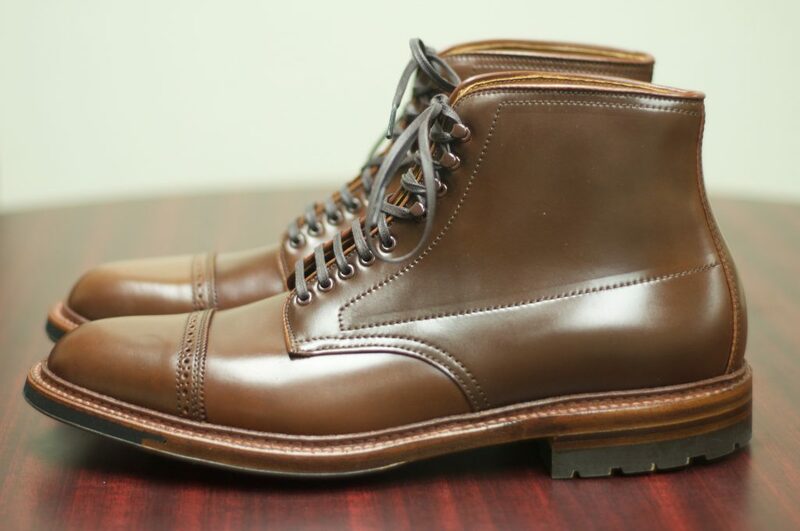 The Alden Jumper Boots is one of the most popular and coveted boots out there. 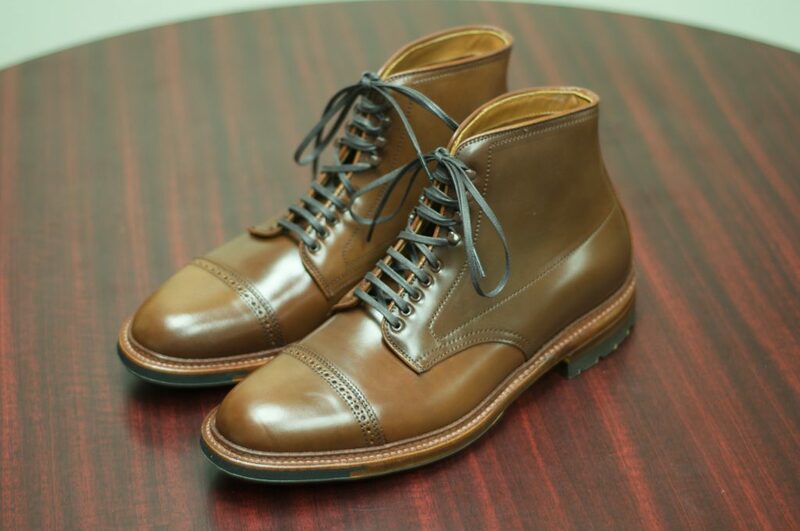 They are sparingly made in the exotic colors, so I was extremely excited when I was informed that these boots were being made and that I would have the privilege of obtaining a pair from my friends at Alden Madison. 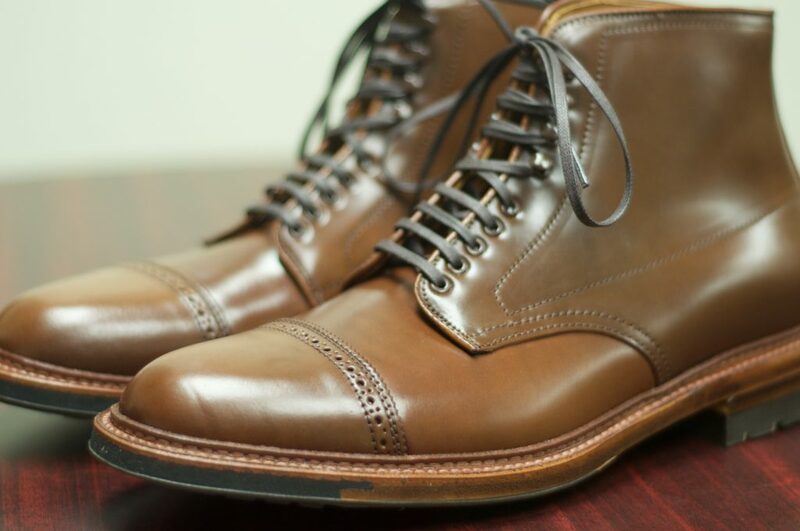 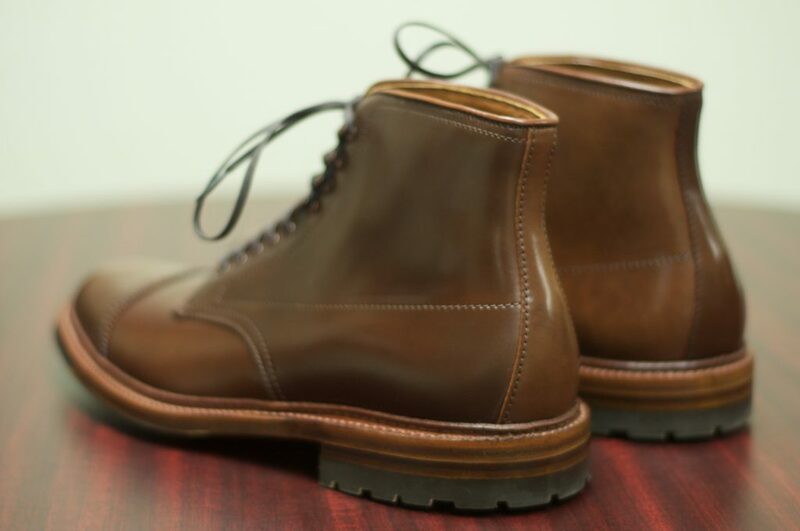 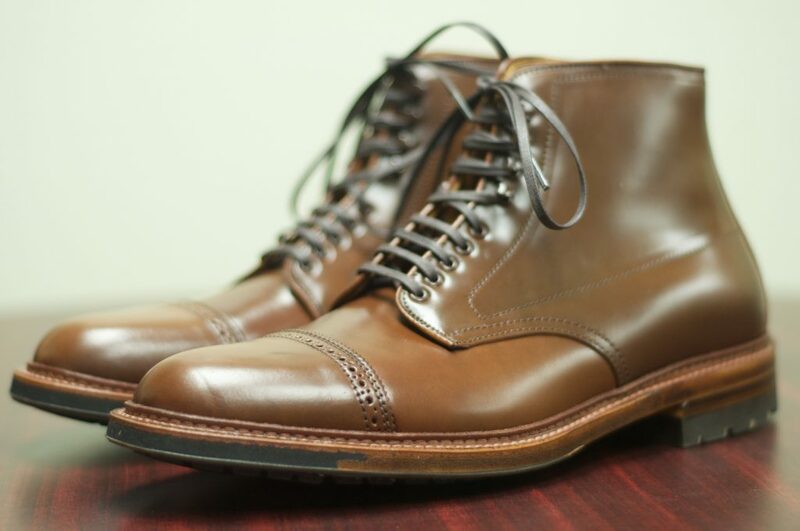 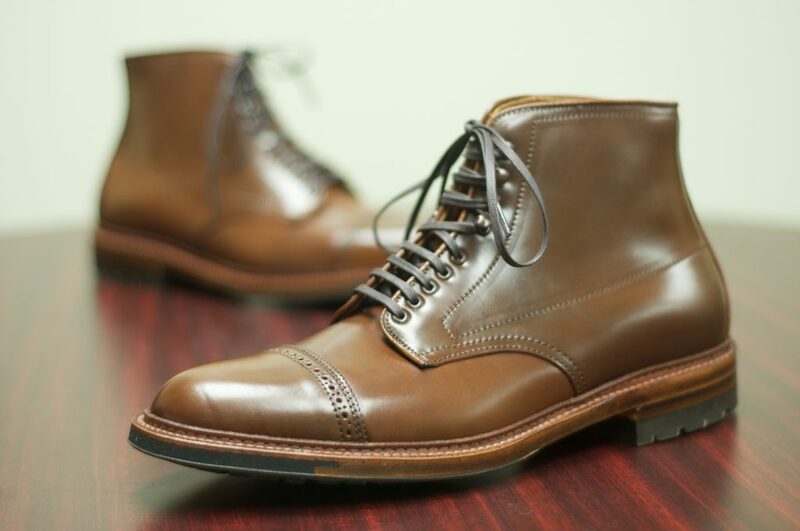 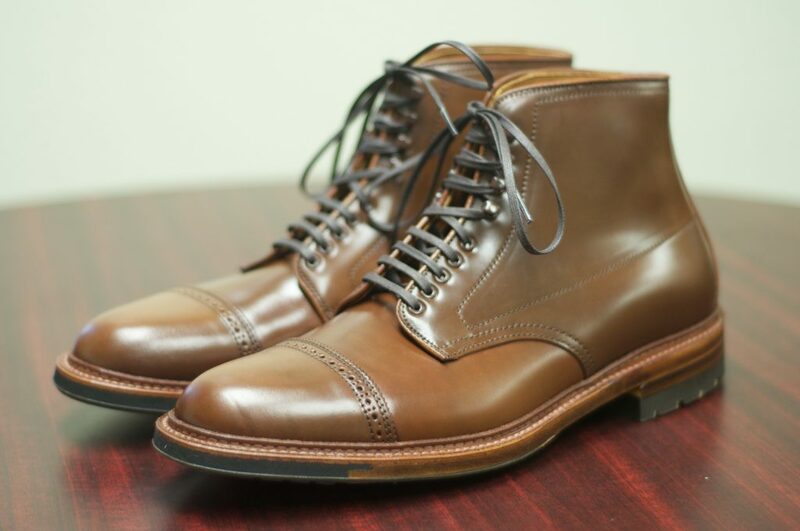 This fine sample of the Alden Jumper Boot nails every desired specification. 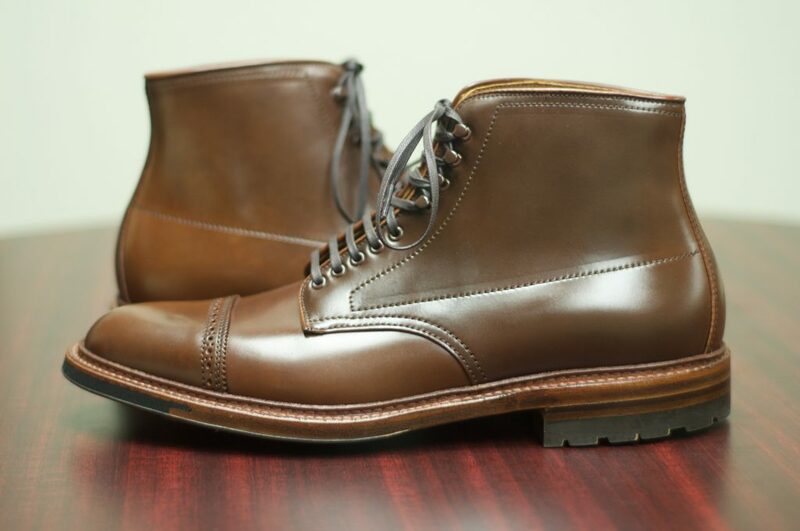 It is made around the always popular Barrie Last, with its incredible and generous proportions. 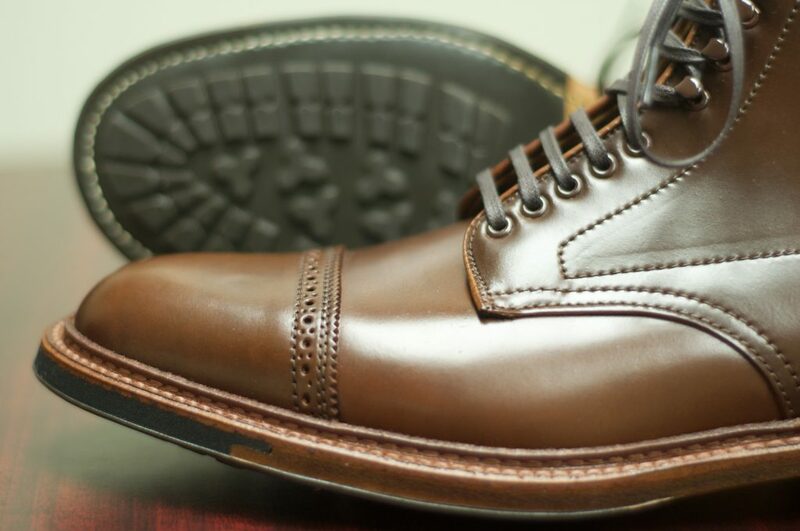 It has the nicely pinked and perforated Cap Toe and comes with a 360 degree, pre-stitched split-reverse welt. 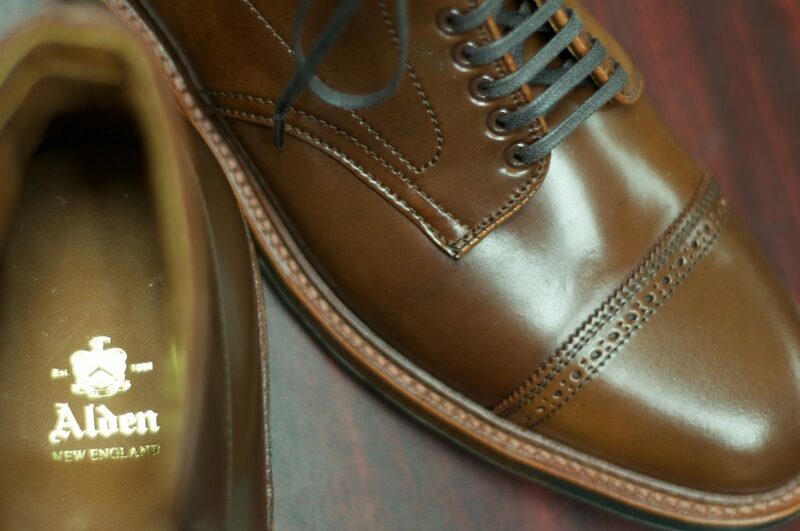 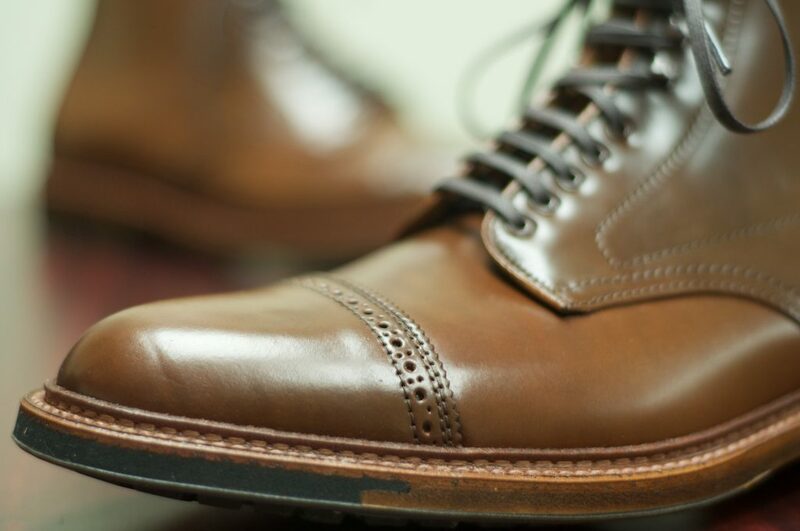 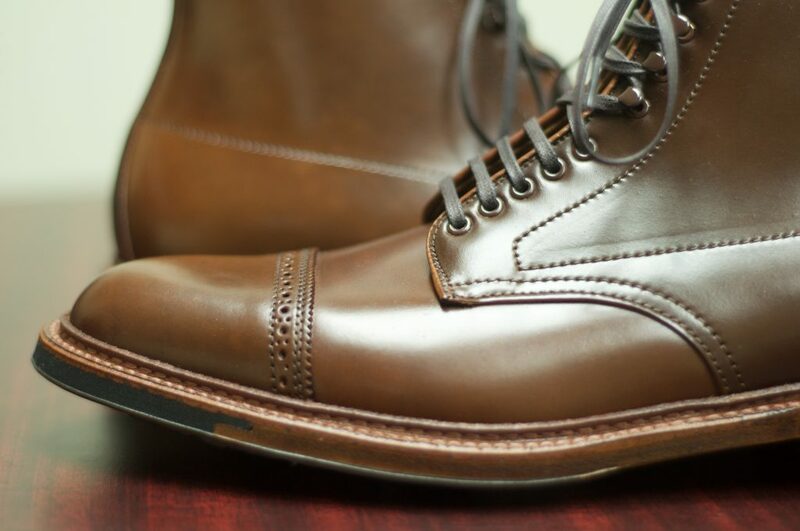 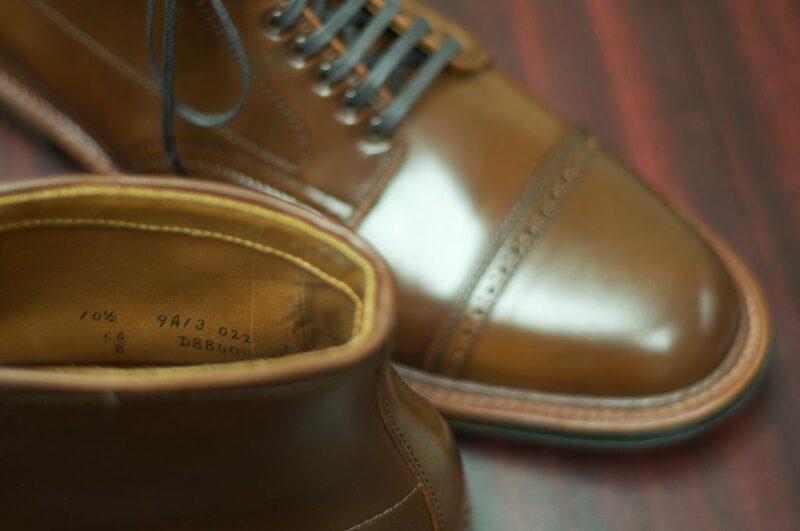 Of course, it is made out of Alden’s exclusive and incredible Ravello Shell Cordovan and has the highly coveted pairing with Alden’s tan “antique” edge soles. 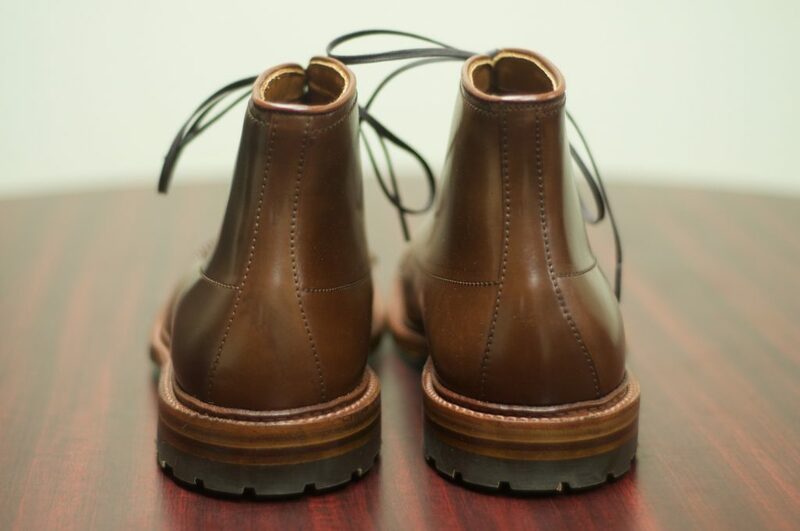 These boots are completed with the Commando Outsole and matching eyelets and speedhooks. 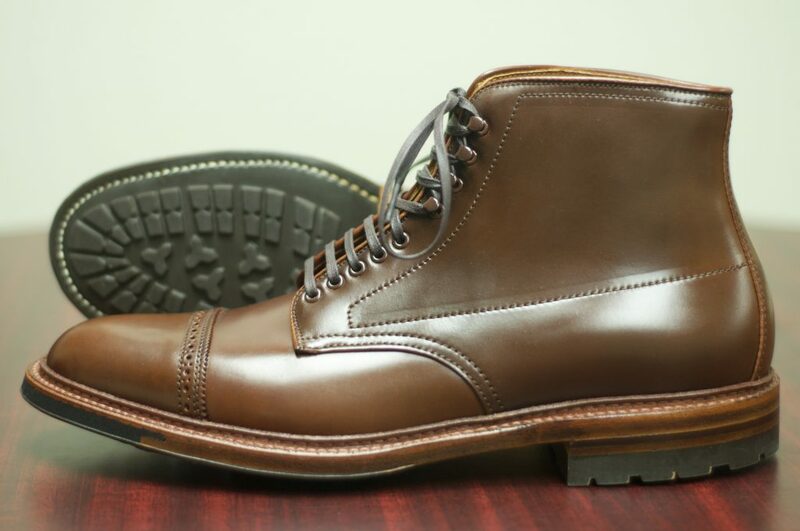 Overall, this is one incredible boot, as can be seen in the pictures below. 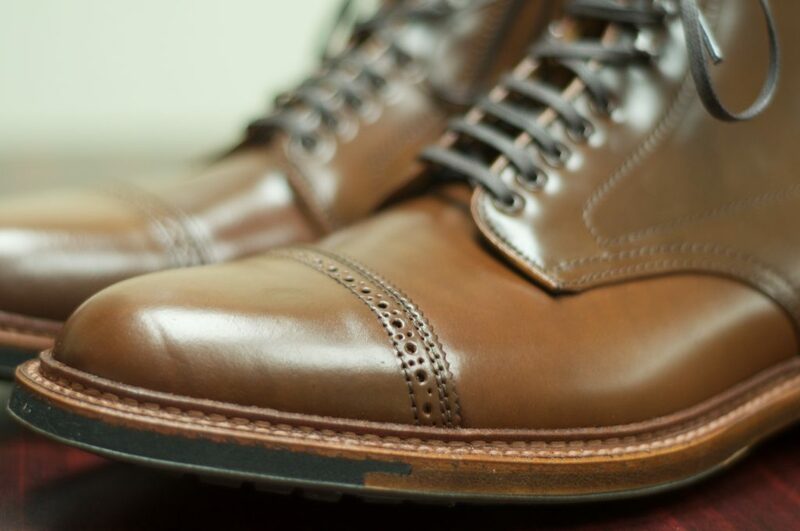 From Left to Right: Alden Cigar, Alden Color 8, Alden Ravello, Alden Amaretto, and Viberg Amaretto.